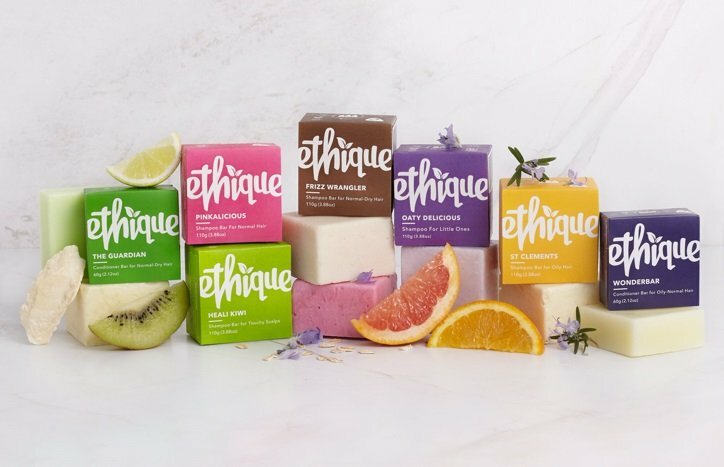 A zero-waste brand billed as the ‘only company devoted solely to producing handmade solid beauty bars’, Ethique has launched onto the UK market. Founded by biochemist Brianne West, Ethique launched in New Zealand in 2012 and to date has prevented more than 3.3 million plastic bottles from reaching landfill thanks to its ‘zero waste’ philosophy. Ethique’s products are cruelty-free and vegan, and are produced in dedicated eco-factories in New Zealand from sustainably sourced and fair trade ingredients and packaged in a 100 percent compostable and recyclable sleeve. The bars are palm oil-, sodium lauryl/laureth sulphate-, paraben and phthalates-free. “Up to 75 percent of [conventional] shampoo and 90 percent of conditioner can be water, which is just crazy – you have water in your shower,” says West. “Obviously, water is an important part of the product but I was interested in what happened if you simply combined the ingredients without it.